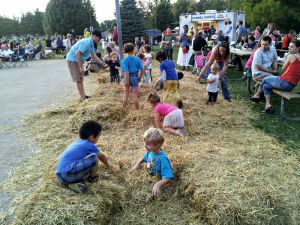 Avon residents know how to celebrate, and one of the best examples is the Avon Community Heritage Festival in it&apos;s 17th year of providing fun for the entire Avon community and beyond. First, the Avon Marching Black & Gold will host a kick-off event on Thursday Sept. 24 at the high school. Starting at 7 p.m., the band will play and host a hot wings eating contest between local police and firefighters. My vote is a firefighter will win, they are trained to extinguish things that are on fire. Admission is free. The majority of the Heritage Festival events, however, take place on Saturday Sept. 26 starting with a parade at 10 a.m. that begins and ends at Kingsway Christian Church. The parade has been a tradition of the event all 17 years. And as is the case with most parades, I&apos;m told there is candy. After the parade head to Washington Township Park for the remainder of the celebration beginning at 11 a.m. There will truly be something for all ages with entertainment like: Silly Safari, pony rides, tractor pull, Talent Show finals and the night will end with fireworks at dusk! There will also be plenty of food vendors, so bring your wallets and appetite. Starting at 6 p.m., Big Rosco and the Hammers will play your favorite cover songs from artists like Prince, Mackelmore, AC/DC, and Journey. Sounds like a playlist the whole family can boogie down to! Whether you live in Avon or not, this event is a great way to celebrate the town and all that it offers. So come out and join us on Sept. 24.